Kypie has accomplished what I hope everyone can do when they come to RFBC. She persevered through all sorts of struggles and strong desires to give up. 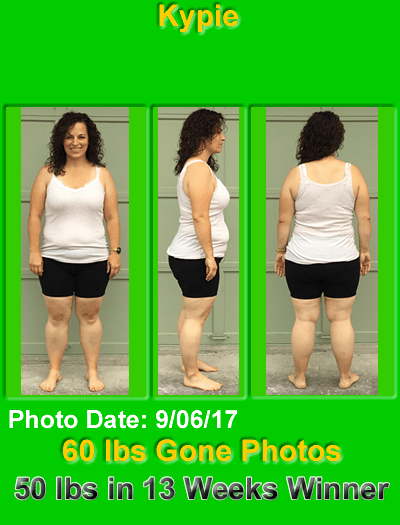 Yet here she is with 90 lbs gone. She is a runner now and although it is cold and rainy where she lives she runs with her new Winter Running group regardless of weather. Today as she sent in her photos she told me how today on a 4 mile run with her group she ran her fastest pace so far, shaving a full minute per mile off her time compared to last month. Last night she did what she did not think she could do. She did holiday baking with her children. We all gave her strong support and suggestions before. I even wrote an article for her and published it over at HealthFoodist.com. Today, those baked goods are in the freezer and she didn’t eat any. She will be at her goal weight soon and off to maintenance. She has mastered her desire to give up control to food and is powering through. For many months, she did maintain. Now she wants goal! I have no doubts she will get it. 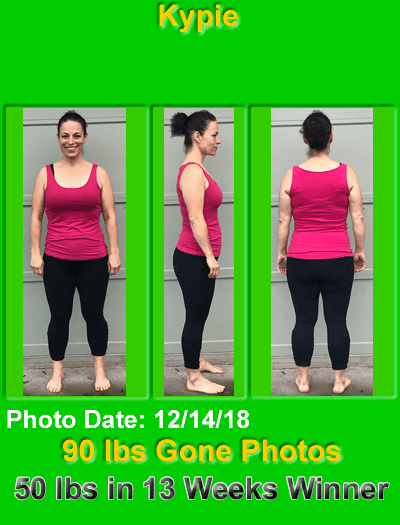 In complete transparency, you need to know this is Kypie’s second time hitting 80 lbs gone. 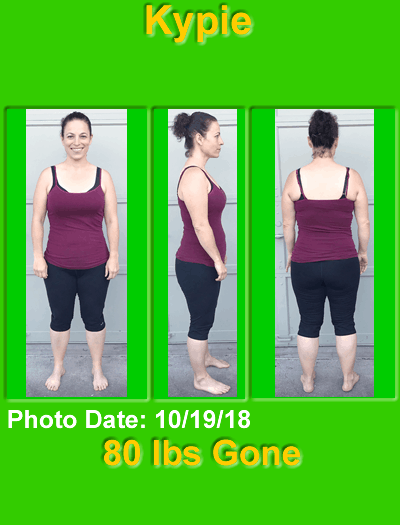 She first hit 80 lbs gone in February of 2018. 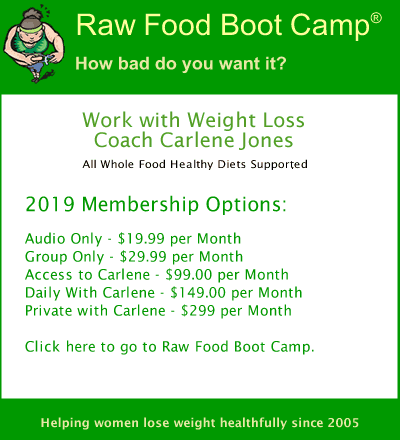 At that time she suffered an injury and couldn’t get the exercise in she felt she needed and her motivation and belief in her ability to finish the weight loss off died. She gained 10 lbs back pretty fast. She didn’t leave camp though. She didn’t want to gain back any more weight. She struggled from about March until late September with getting back into diet mode. She never lost her faith in herself though. She maintained. 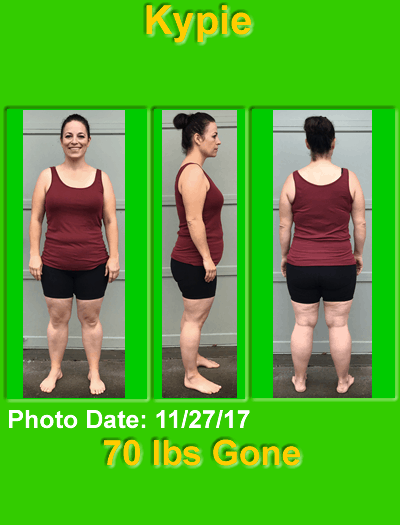 During this big maintenance period with 70 lbs gone, she did what all need to do, she changed. Not just her body, but her thinking. 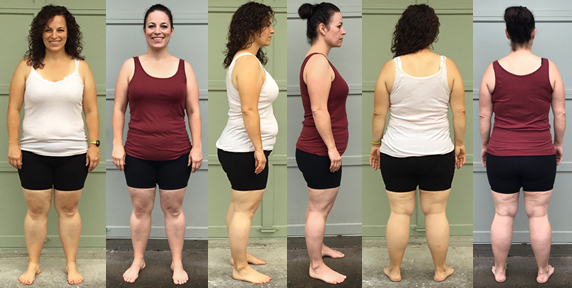 She no longer saw the obese woman she was. Instead, she reclaimed the athlete she had been when she was younger. In August she went on a huge backpacking trip with her son. This had been a long time planned trip, one she expected to be at goal when she went. Even though she was still about 35 lbs from goal, she didn’t cancel instead she pushed herself physically. She took up running but because of the injury, so she had to train slow. Recently she has taken up racketball and has found a big competitor in her mom and her mom’s boyfriend who is a racketball trainer. The competitor in her returned. Big time! She was ready. Here she is at 80 lbs gone again. Her body is athletic. She still has more to lose, but now that her brain and body are back in the game it is coming off fast. 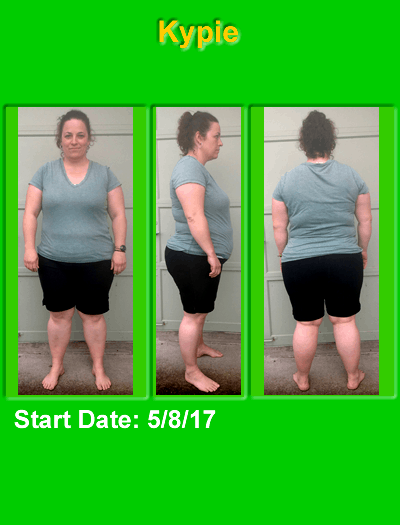 We changed her diet up for more of an athlete than just someone who needs to lose weight and it has made a big difference in her losing and in her athletics. I am so proud of Kypie. She is a true success story. She fought through the disappointment her injury brought and focused on the inner changes that needed to be made so she could reclaim the woman she was before the fat suit. So, I present to you. Kype. RFBC’s athlete of the year and inspiration to everyone here at camp. Before coming to RFBC, I had hit an all-time low. I felt like I was on the sidelines of my own life, not participating, hiding away and feeling ashamed because of my obesity. 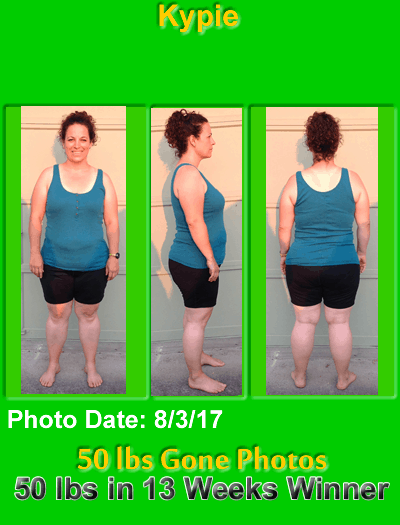 It kept me from being active with my kids, affected my relationships, and most of all made me feel powerless and took away my confidence in myself. I had lost the person I was twenty years before: an athlete, a confident and vivacious young woman. I didn’t think I would ever find her again. I had a lot of back, hip and ankle pain that made me think that being able to be active was impossible. Carlene ripped the scales off my eyes when it comes to my relationship with food. I knew I needed to eat healthier, but I didn’t realize how much I was using food for the wrong reasons. I began to see that I was using food for comfort, for celebration, for pleasure, as a centerpiece of many of my relationships. 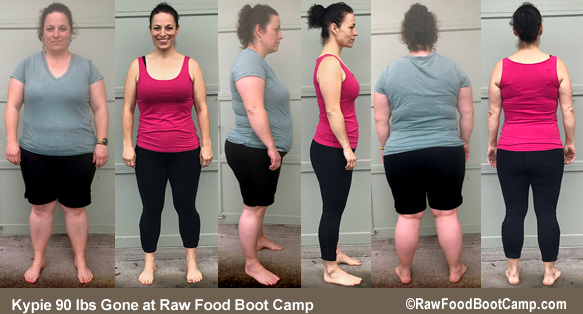 Little by little being at RFBC rearranged that relationship and helped me to use food appropriately–as fuel for a healthy, dynamic lifestyle! So, so many benefits I will not even be able to say half of them!! 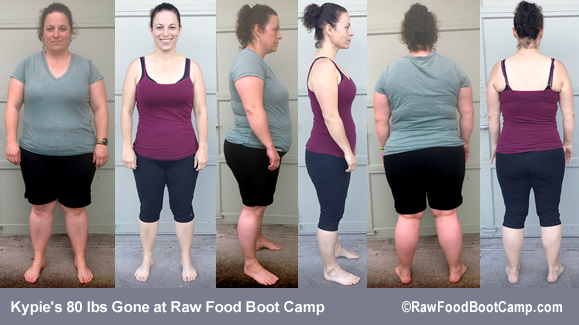 I feel emotional as I write this because RFBC has completely changed my life–no, instead I should say it has given me my life back! Not only has my body completely changed, my attitude about myself and my inward spirit has as well. And my journey is not even done yet!! I went from a completely sedentary lifestyle to getting some of my athletic fire back. I went from not even being comfortable walking a mile to being able to run 10 miles at a time comfortably! 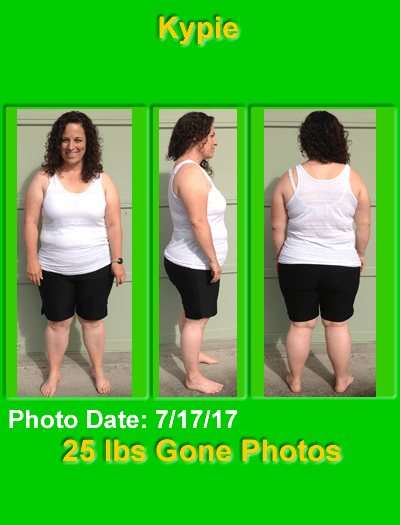 I went from being ashamed, tired, defeated to feeling like anything is possible! My relationships have all changed for the better as well. One of the greatest highlights have been going on an amazing backpack with my son. We climbed mountains, jumped off rocks into freezing cold rivers, saw bears and amazingly beautiful scenery! This would have been impossible as an obese person and I’m so thankful for our memories. I was looking through some of the pictures he took and he took some of me standing out on a rock in the middle of river looking out toward a sunset. The picture didn’t make me cringe and it filled me with this amazing feeling that he was capturing this moment and I was a part of the beauty and something that he wanted to remember. I guess it struck me so much because I spent the last 18 years avoiding the camera like a plague. Another highlight is that I’m able to participate in sports again! I played competitive soccer in my teens and college soccer in my twenties. I’m still being very cautious as I have had some chronic injuries, but my body is allowing me to run. I’m playing racquetball, hiking, and feel able to play sports with my kids. If you are like I was, then you are playing the part of a martyr in your own life. It is important to realize that nobody is coming to save you–you have to save yourself! It is your responsibility to prioritize yourself–it is not selfish–it has an amazingly positive impact on everyone around you!! I am seeing the ripple effect in my children, my husband, and my extended friends and family–taking care of you is absolutely crucial in having a positive impact on those around you! The other advice I would have is NEVER GIVE UP!! Changing yourself from the inside out takes time and patience. It doesn’t take being perfect, and there will be highs and lows, but the journey is an amazing one and it is SO worth it!! !